I’m going to create a new Tumblr: Weak Sauce Apologies For Racism. Initial entries would include Emma Stone’s “my eyes have been opened” apology for appearing as an Asian American woman in Cameron Crowe’s Aloha; James Bond writer Anthony Horowitz’s 140-character mea culpa for calling Idris Elba “too street” to play his titular character; and Mark Wahlberg’s request to be pardoned for an anti-Asian hate crime assault. We can also add another one to the list. 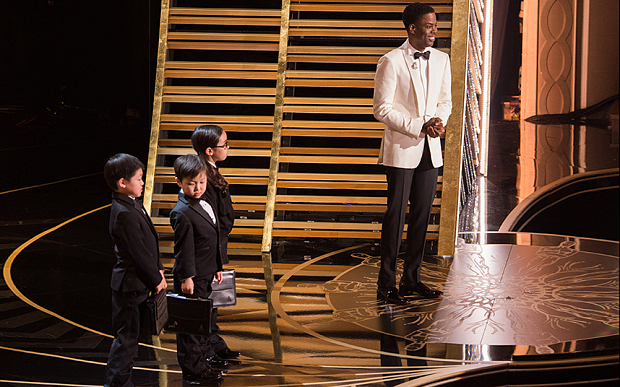 The Academy of Motion Picture Arts and Sciences issued a weak sauce, two sentence apology today, nearly three weeks after it aired a skit during the Oscars that invoked anti-Asian “model minority” and “child labour” stereotypes while exploiting three Asian American children as racial props. Just two days after his absurd statement — wherein he justified turning away of Syrian refugees with the reasoning that the US federal government was correct in treating Japanese American citizens and nationals with similar racial suspicion and hostility — went viral, Mayor David Bowers has reportedly apologized. Bowers’ three-paragraph press statement from earlier this week buzzed through social media, with angry constituents and Asian Americans calling for the mayor to apologize and/or resign. 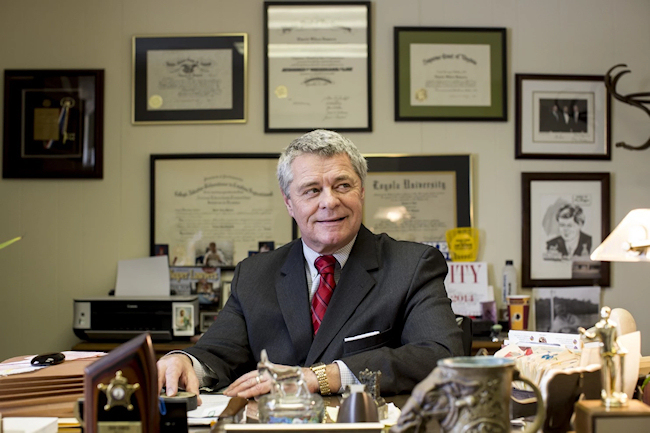 Several officials of the state of Virginia — including Roanoke City Council members and Bowers’ own Vice Mayor — joined in that outcry, and condemnation of Bowers’ statement showered down upon the Mayor’s office from both sides of the aisle. 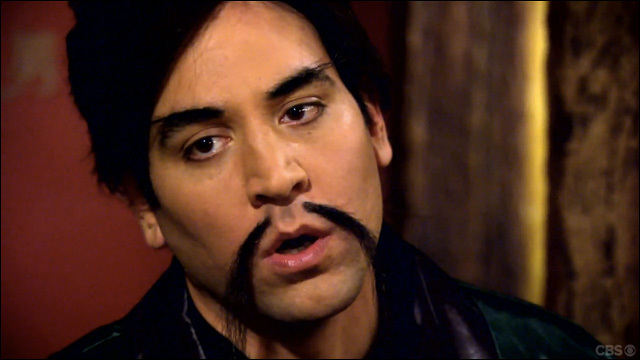 I don’t know who Josh Radnor is, but now he’s immortalized on Google in yellowface. Yay. I don’t watch How I Met Your Mother (HIMYM), but am a long-time fan of both Neil Patrick Harris and Alyson Hannigan (I’m a Whedonite), and support both of their careers. So I was bummed to learn that on Monday, the show ventured into the realm of stupid racism. Contextually, the episode featured a “fantasy vignette” where one character played by Jason Segal imagines learning the legendary art of “slapping” in a scene where he trains with “kung fu masters” played by three of the show’s other cast members, including Hannigan. What results is exactly what you would expect would happen when a show written by a predominantly White writing staff “pay homage” to kung fu movies when they have at their disposal a bunch of White actors. It’s like someone raided the “geisha” and “coolie” sections at the Day-After-Halloween sale at Spencers.